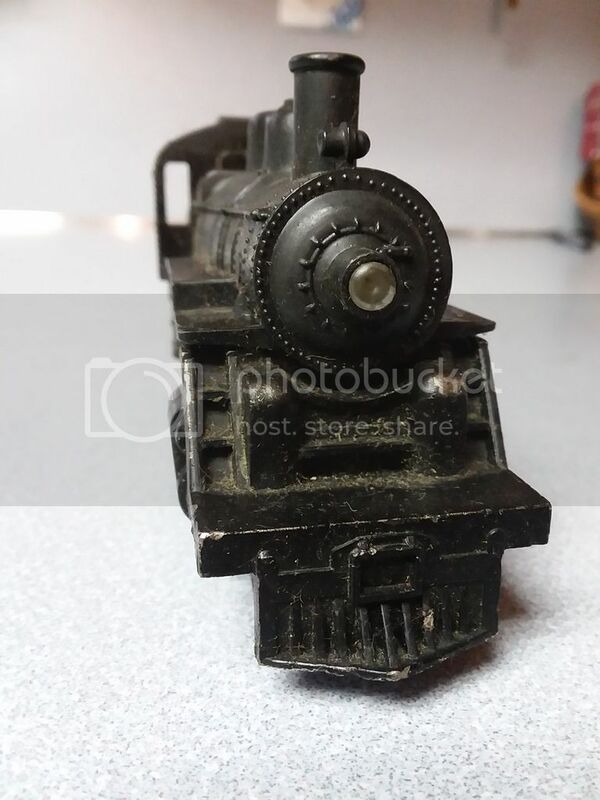 Unreconized Loco Brand & Make "Can anyone help me"
I got this Loco from a Neighbor / Friend 2 doors up from me that was cleaning up the basement @ his Mothers House & gave it to me. It has no Box or brand markings on it. 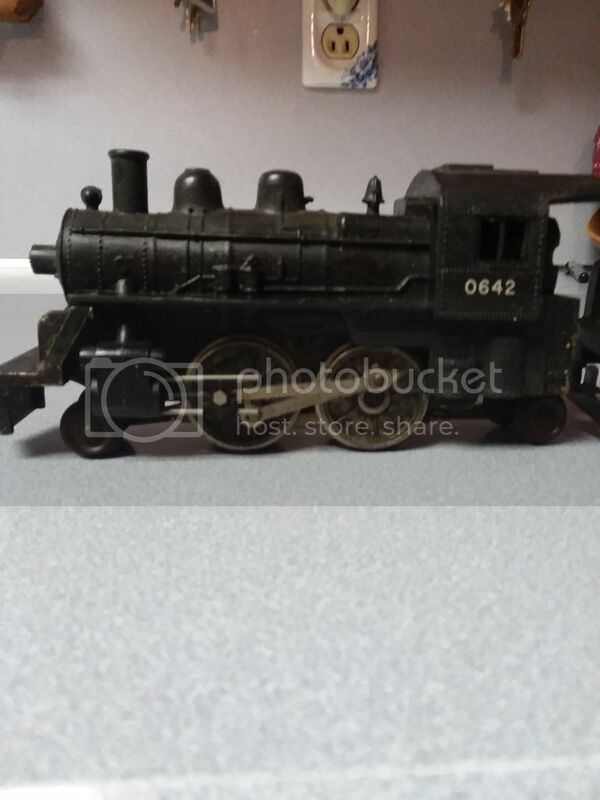 I just know it's a DC Loco My questions are is it worth keeping or refurbishing it & how much would this Loco be worth Cleaned up & resold.. This reminds me of a Lionel HO model. From time-to-time, Lionel dabbled with establishing an HO line of models, and like their O scale, they occasionally marketed make-believe wheel arrangements like the 2-4-2. The motor also reminds me of Lionel. I can't see any pick up brushes, which is what you would see in an old Varney locomotive, on the left anyway. Lionel mechanisms were pretty hardy, too. So, if it still runs, that would be more evidence for Lionel. 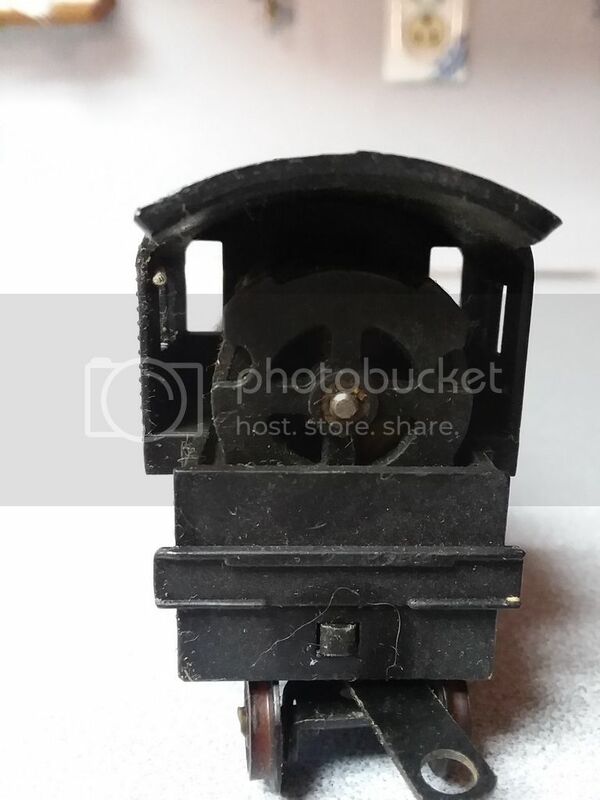 It doesn't appear to have any Bowser or Mantua identifiers that I recognize, and they would probably have very obvious open frame motors. I see hex screws, instead of slotted screws, which points to an American model vice Japanese. They only thing that would give it value would be pre-WWII manufacture. Unfortunately can't put a date on it based on the photos. Is the boiler metal or plastic? A metal boiler might help indicate a date and builder. Of course, I could be way off base. I'm pretty much with Jonathon on it being old Lionel from the early '60's. My other thought is that it could be an import, like from Fleishmann. 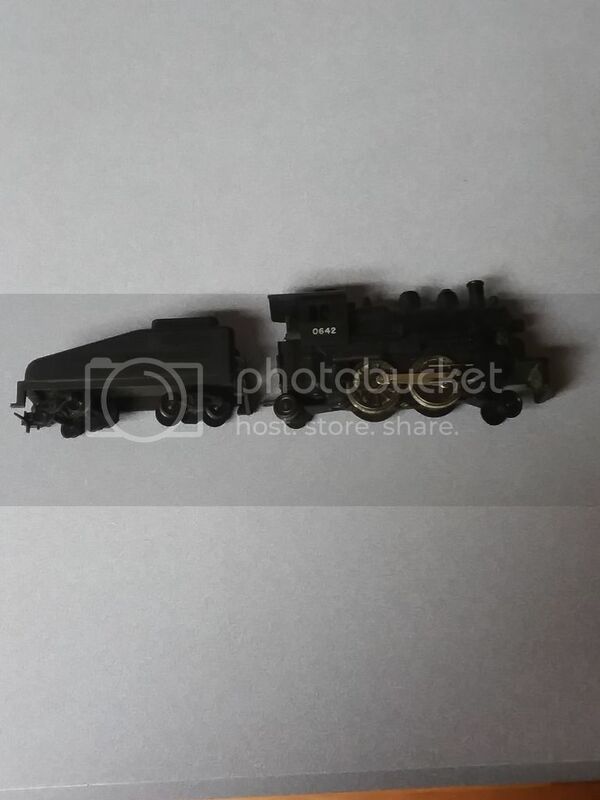 Just looked up Lionel HO 2-4-2 on the interwebs. Also, Lionel was all about casting the bell as part of the boiler, like yours. They also modeled Pennsy type boilers, as yours appears to be. I think ebtnut hit the early 60's era just right. Looked of Aristocraft, Marx, Fleishmann, Bowser, American Flyer, and Mantua. Nothing came close to the appearance of your loco. I think this 1962 ad shows the set that loco would have come with. Yup. Lionel using an Athearn belt drive system. Doubtful it's worth even that much these days, as it was a poor runner. That set was offered 1961-63. By 1966 Lionel was out of HO. I would clean it up and keep it as a curiosity. Thanks Jonathan & everyone else that helped figure out it was an Older Lionel from the 60's pretty neat though... 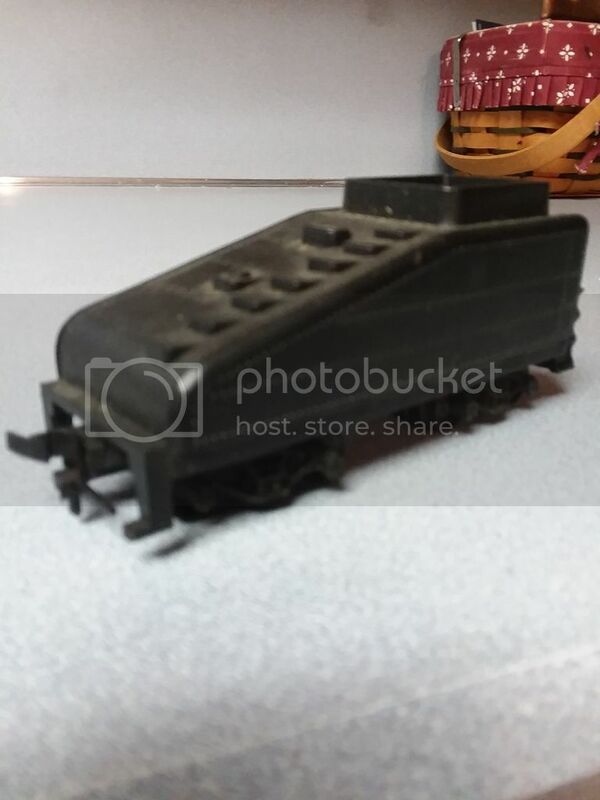 I have decided to clean the Loco up & display it on one of my Shelf's I have by my Layout as a conversation piece. 2-4-2 The type is sometimes named Columbia after a Baldwin 2-4-2 locomotive was showcased at the 1893 World's Columbian Exposition held at Chicago, Illinois. Not many were made is the U.S. There is one still active in the the state of Mo. Yes that is it. Better looking than the toy locomotive, but it does look odd. It looks like something is missing, like it should have been a 2-6-2.